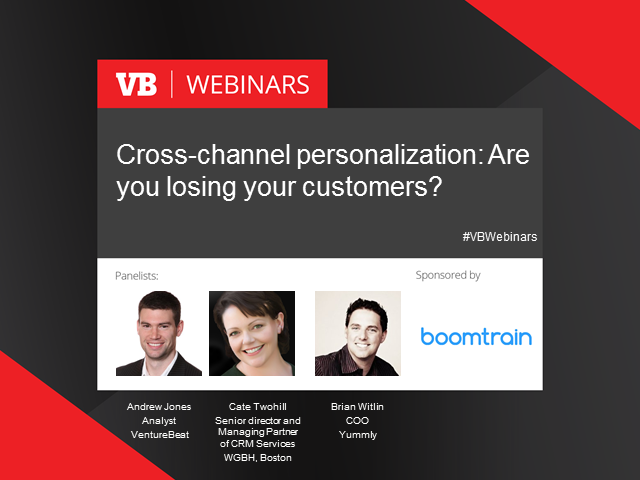 Cross-channel personalization: Are you losing customers? Do you create the most relevant messages and experience possible for your customers? How's your accuracy? Or do they see generalized messages and offers that may be completely different depending on whether they engage with your company via ads, email, website, or your mobile app? Consumers are tuning out noise — unsubscribing from email, turning off notifications, blocking ads — and are increasingly expecting and engaging with personalized content. What's more, they're incredibly intolerant of mistakes and errors -- a recent study found that upon finding an error in personalized messaging, 16% would consider a competitor's business and 13% would immediately abandon the transaction all together. Yikes. In short, personalization is critical to the success of modern marketers, yet few are doing a good job today -- and are hemorrhaging customers without even realizing it. Title: Cross-channel personalization: Are you losing customers?